At Bill’s Auto Glass we offer our local trade to you in a professional manner. Likewise, some of our services include Carrollton auto glass and windshield repair. Above all, Bill’s offers complete windshield replacement, car window, and back window repair. Most noteworthy, with every professional installation we only use premium materials. 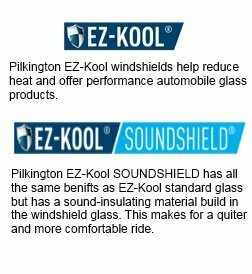 Certainly, we understand how cheap knockoff glass could compromise your vehicle’s safety. Hence, if you don’t use the correct windshield or side window for your automobile, the specs could differ from OEM quality. Our Carrollton windshield replacement service takes your family’s safety in mind. For this reason, we only use professional grade parts. Above all, for convenience, we offer free service to you. Furthermore, if your day is just too busy and your time is short, we will be happy to come to you free of charge. We would also like to invite you to our location if you prefer a service done at our shop. Not only do we provide excellent work, but everything we do is under warranty so you’re always covered by us. No matter the make, model, or year of the automobile, we are here for all your Carrollton windshield replacement needs. Furthermore, our team of trained professionals will come to your home or office within a days’ notice and have your windshield glass ready within the hour. All our materials used in the installations come from established distributors like AGD and Mygrant. Furthermore, we guarantee all windscreen installations against glass defects. 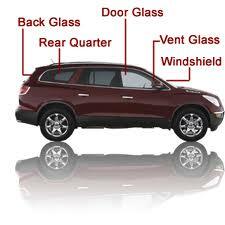 Located in Plano, TX, we do offer auto glass replacement in Carrollton, TX, as a convenience. Car window smashed by a softball! No Problem. That’s where Bill’s Auto Glass comes in. We can dispatch a certified technician to your location. Hence, why take the unnecessary risk of driving with a broken window? It’s not safe, and we come to you. From Richardson, McKinney to Garland, we provide windshield replacement for you. There are some things that can’t be prevented, luckily we’re here to make it easier for you. Let our local team of experts be the solution to your problem. That’s what we do. For immediate service call us now. However, if you prefer to receive your quote by email, please fill out the form below. All installations come with free mobile service. Finally, analyzed forms are sent back in a timely manner. Above all, we fully guarantee any service provided, including rock chip repairs. The wonderful City of Carrollton, TX is located just northwest of Dallas. With a population of over 135,000 thousand, the city is definitely on the upside. Location is key, and being right in the heart of the Metroplex makes Carrollton a great place to establish mobile services such as ours. Some of the highlights of the area include excellent comfort food and a bustling nightlife. As a local homeowner, Carrollton Auto Glass is thankful to be able to service the community.